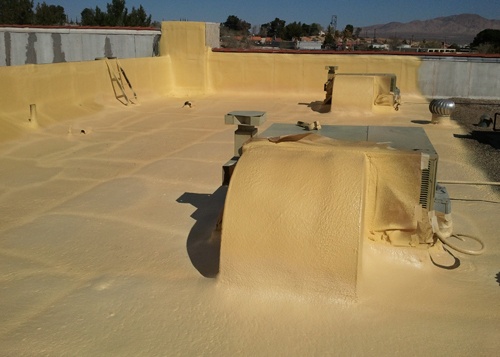 At Corona Coatings Corp., we have expertly installed our energy efficient spray polyurethane foam roofing, wall insulation, and tank coating for Riverside and San Bernardino homeowners since 1976. Over the years, we have performed our services for thousands of satisfied customers who have been so pleased with our foam roofing and insulation systems and superior customer service that they have referred us repeatedly to their neighbors, family, and friends. Insulation is an extremely important aspect of every home's design, because it has a major impact on the comfort of those inside. Moreover, the efficiency of a home's insulation system has a significant effect on the energy output required to heat and cool a home, and can greatly influence home heating and cooling costs. Spray polyurethane foam roofing and wall insulation systems provide superior thermal performance over traditional insulation systems, and are simply the highest quality insulation available for maximum home comfort. And not only does spray polyurethane roof and wall insulating foam keep your home warm in the winter, and cool in the summer, but it also creates a protective environmental envelope around you home, protecting your family from the infiltration of airborne pollutants such as dust and pollen, and also outdoor noise. 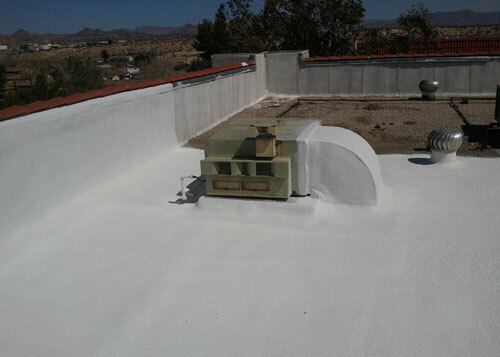 At Corona Coatings Corp., our experienced roofing technicians can install our spray polyurethane foam roofing systems over both new and existing flat roofing systems. Our durable, waterproof foam roofing is ideal for installation over existing built-up roofs, cap sheet roofs, metal roofs, standing seam roofs, and hot mop roofs, providing a seamless barrier which is self-flashing, and forms a tight seal around all ductwork and roof penetrations. 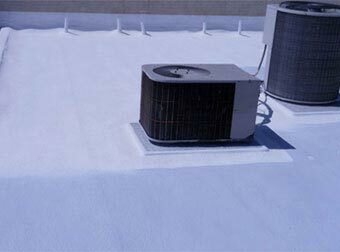 And when new work is performed on your roof, such as an air conditioning system or skylight installation, our experienced roofing professionals can easily repair the foam roofing cut during the installation process, by applying new foam which forms a tight seal around the new structure(s), to seamlessly repair the existing foam roof. 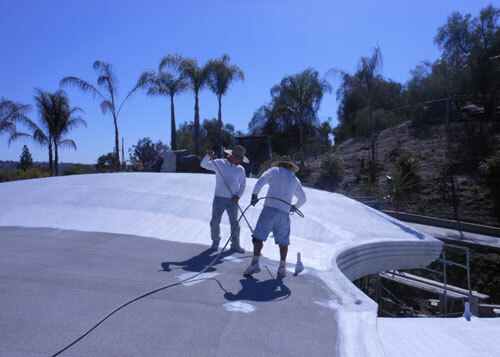 At Corona Coatings Corp., we hold both a C-39 Roofing Contractor's license as well as a C-2 Insulation Contractor's license, and our skilled application technicians each have 12 to 14 years of experience working in the foam roofing and insulation industry. Moreover, all of our technicians are required to adhere to a rigorous schedule of ongoing training in the use and application of the high-performance, long-lasting polyurethane foam roofing and insulation systems we apply. Call the insulation professionals at Corona Coatings Corp. today. We offer free in-home consultations and estimates. Corona Coatings Corp. is licensed and insured. 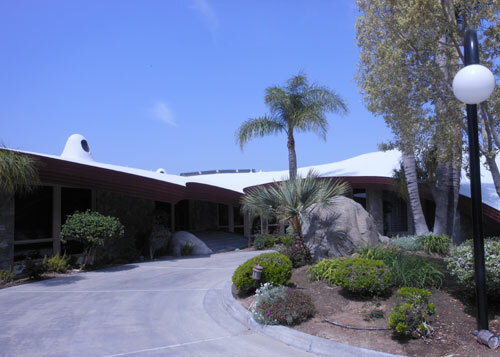 Corona Coatings Corp. installed this foam roofing system for a home in Riverside, CA. 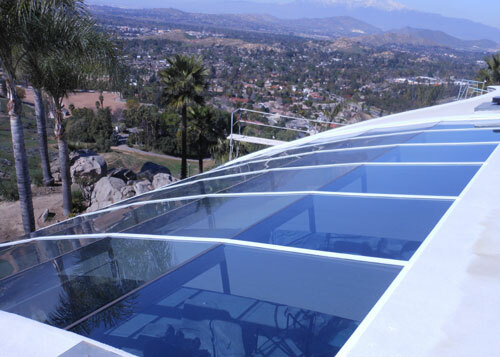 The polyurethane foam roof coating provides excellent insulation and seals in the featured skylights. We work with our clients to provide a durable roofing system that meets your specific needs.